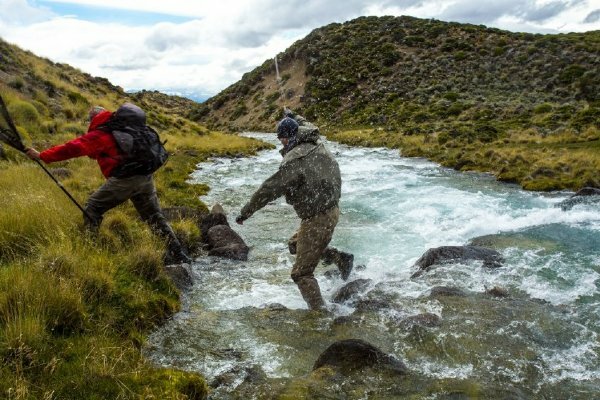 The rugged splendor of the Argentine mainland's southernmost Santa Cruz province is, and will remain, the essence of true Patagonia. Accessed through the mountain town of El Calafate, Santa Cruz is home to the Rio Gallegos, Jurassic Lake, the Los Glaciers National Park as well as the iconic skyline of the Fitz Roy massif from which the Patagonia clothing company fashioned its logo in the early 70's. The lodge is located in Santa Cruz province of Southern Argentina, it's roughly five to six hours by vehicle from the town of El Calafate.